Great news comes today for America’s East coast Insomniac fans with the company’s announcement of a new nightclub partnership debuting with WAV in Atlantic City, New Jersey. Located on Playground Pier at Caesars, and boasting 20,000 square feet, the sprawling venue is the only nightclub that literally sits over the Atlantic Ocean. With 2 distinct spaces (Main Club and a Mezzanine level) and a 6,000 square-foot outdoor terrace that overlooks the water, you’d think that was enough to brag about. But, there’s more. The venue also features 4 bars that offer 200 feet of service space, ceilings that are 60 feet in height, 8,000 square-feet of LED screens, and a 200,000 watt sound system! It’s safe to say, there is nothing like WAV Nightclub. Insomniac will be presenting shows on Saturdays and Sundays at WAV, which will clearly bring a new reputation as CEO Brian Nagele asserted. 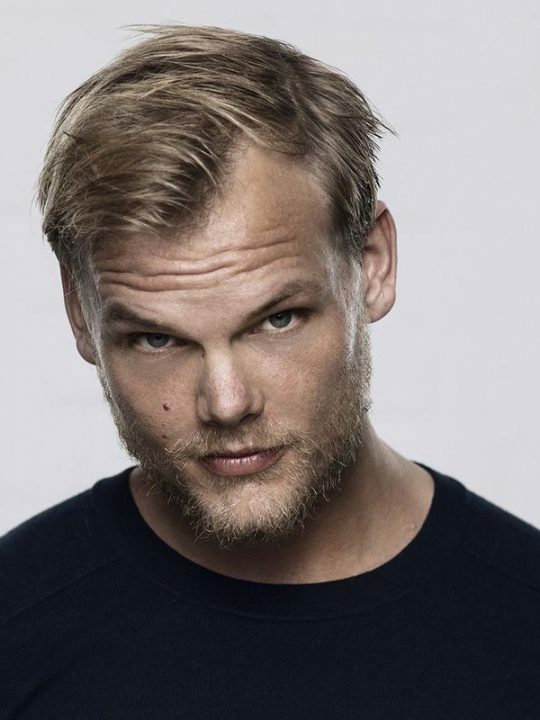 “This new partnership with WAV Entertainment and Insomniac unleashes unlimited possibilities of what we can do with Electronic Dance Music in the Atlantic City,” he said. Of course, Insomniac has to deliver for the premiere of such a historic partnership, as this is the first nightclub the EDM event company has associated itself with on the East coast. Prior to this arrangement with WAV, Insomniac’s only other nightclub partners exist in Los Angeles with Exchange LA (DTLA) and Create (Hollywood). April 1st & 2nd is when it will all go down, starting off with house music heavy hitter, Tommy Trash, followed by the undisputed icon, Skrillex, the night after. 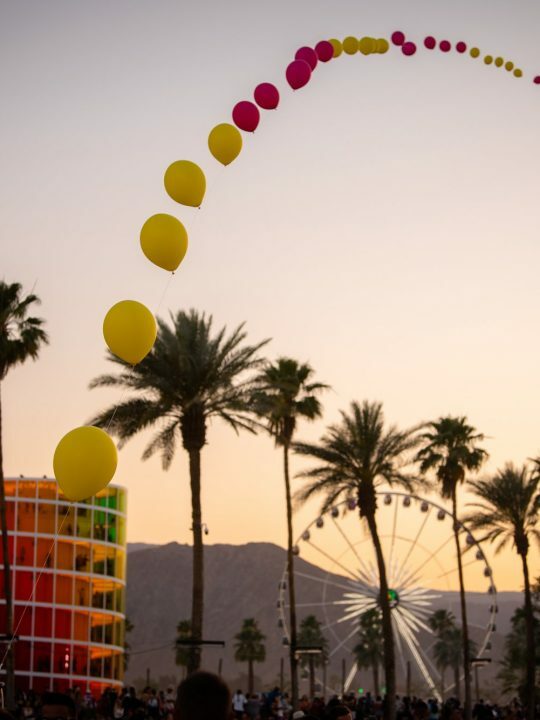 Being an Insomniac event, and another proud moment in the entertainment empire’s never-ending expansion, it’s not unlikely that the club will be filled with the industry’s biggest names. 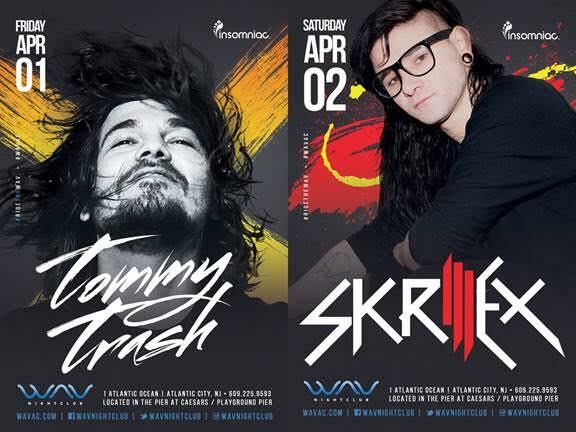 Tickets for Skrillex at WAV on April 1 can be purchased here and tickets for Tommy Trash are available here. Visit WAVac.com for more information on bottle service, reservations and private events.